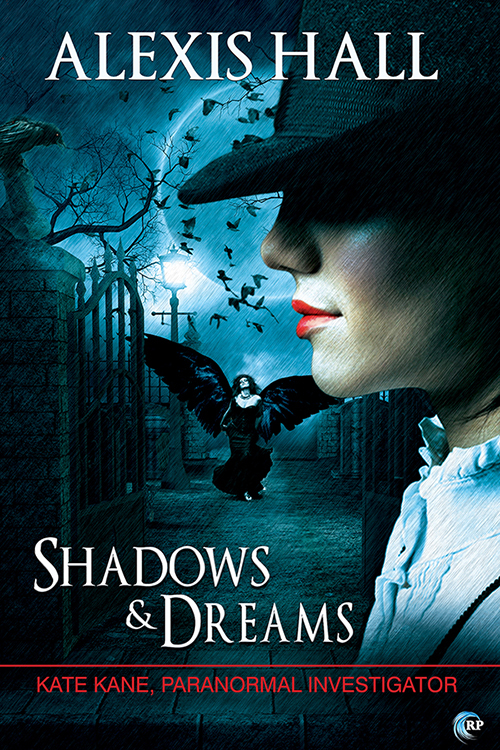 I pre-ordered SHADOWS & DREAMS from Riptide Publishing as soon as it was up, having absolutely loved the first Kate Kane novel. I waited excitedly for it and was not disappointed – where some series can fall flat on the second novel, SHADOWS & DREAMS excels and is better than the first. Kate is hired to find a missing person – the brother of a girl Kate almost picked up. When she learns the brother walked out of a hospital after breaking a leg, her suspicions are roused. Then comfirmed when she sees a security tape recorded at the hospital. The missing brother is a vampire. But before Kate can track him down, she’s arrested by the Vampire Council for murdering one of their own. This happened during the final confrontation of IRON & VELVET, though there’s enough information that the reader doesn’t need to have read that book. They should, though, because it’s excellent. With her life in the balance, Kate has to find the missing brother, prevent an all-out war between vampires and werewolves, and also stop an ancient vampire rising to power… all whilst keeping her own half faery side under control. Oh, and let’s not forget that the woman who killed Kate’s partner has escaped from prison. SHADOWS & DREAMS builds on Alexis Hall’s urban fantasy world beautifully. I described the novel on Tumblr as being “as if Terry Pratchett and Neil Gaiman had a love child” and stick to that. The world is the just-off-centre-weird that marks Gaiman’s work (in particular NEVERWHERE), while the humour is fantastically British. You have to love a book that has a chapter titled “Dinner & Wankers”, really. In short, I loved this novel and highly recommend it to everyone.